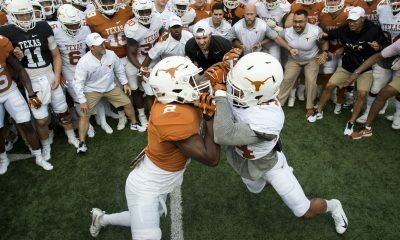 Perhaps Sam Ehlinger and Kyler Murray were born to be rivals. 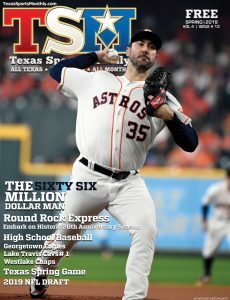 After Murray completed an immaculate run at Allen High School, where he went 42-0 as a starter and guided the Eagles to three straight state championships, he headed off to College Station — not exactly a friendly haven for those who bleed burnt orange. Right about the time that Murray and the Aggies were preparing for their 2015 Music City Bowl match-up with Louisville, Ehlinger — then a junior at Westlake High School — sprung a 23-17 upset win over Allen in the UIL Class 6A Division I semifinals. The victory ended the Eagles’ winning streak at 57 games and cost Allen a shot at surpassing Celina’s state-record mark of 68 consecutive wins. Everyone knows the next series of events. Murray transferred to Oklahoma, and Ehlinger, a lifelong Longhorn fan, chose Texas. 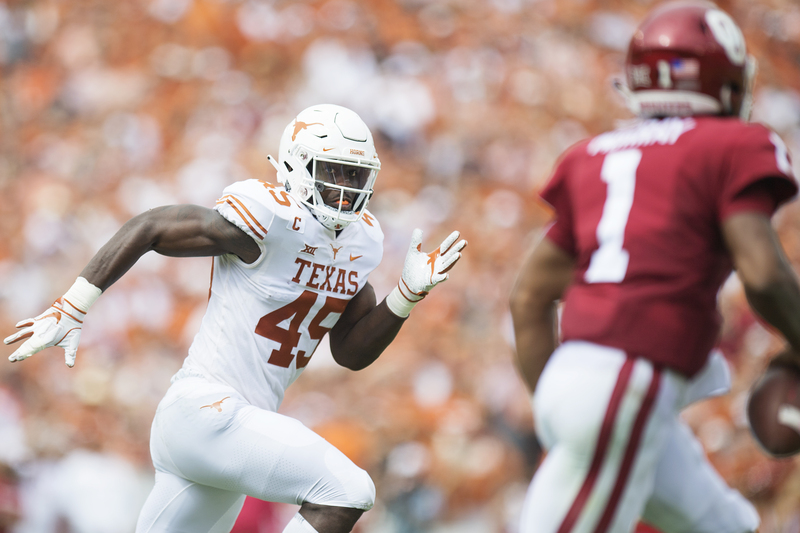 A collision course was set, and the two finally met face to face at the Cotton Bowl in October, with Ehlinger earning a 1-0 edge by way of his team’s thrilling 48-45 triumph. The Longhorns’ win in the 2018 Red River Showdown represents the Sooners’ lone blemish of the season, and with Ohio State’s recent bludgeoning of rival Michigan, Oklahoma understands that its shot at a national title rides on Saturday’s outcome. Style points may even be necessary depending on what the Buckeyes do against Northwestern in the Big 10 title game. For Texas, a shot at playing in the program’s first Sugar Bowl since 1995 is likely at stake. 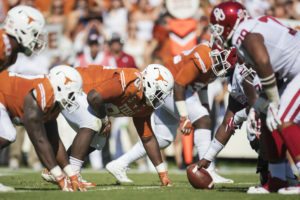 One of the Longhorns’ keys to success in the first meeting with the Sooners was a near-flawless start on offense, as Texas scored on each of its first four possessions and added three more touchdowns during a dominant third quarter. The Longhorns managed to survive a frenzied finish led by Murray when Cameron Dicker nailed a now-legendary 40-yard field goal with 14 seconds left. 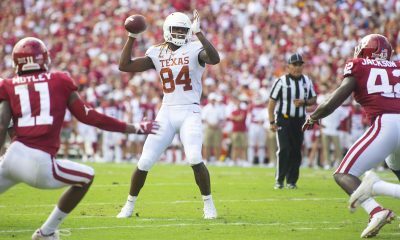 To post a second straight win over Oklahoma, Ehlinger, who was picked off twice by Kansas, must return to taking care of the pigskin and converting key third downs to keep Murray and his weapons sitting on the sideline. Texas’ defense will also probably need to manufacture a few turnovers like it did back in October. The Sooners, on the other hand, will be out to prove that they actually have a functioning defense. Breckyn Hager remains skeptical. 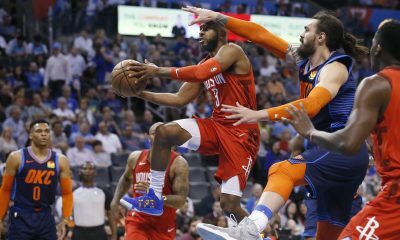 The battle lines have already been drawn for the 114th meeting all-time between the two programs — and the first outside of Dallas in 95 years. 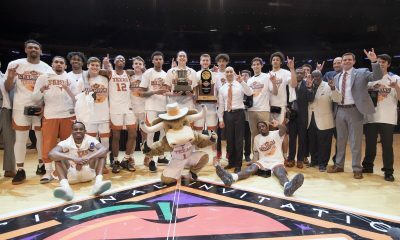 If the Horns can improve upon their current series lead of 62-46-5, then it’s finally safe to say that Texas is officially back. 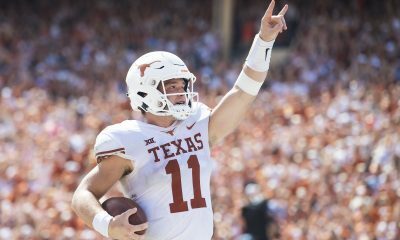 As for Ehlinger, sore shoulder and all, a second straight win over OU will bring him another step closer to earning a spot beside VY, Colt and Major in modern Longhorn quarterback lore.